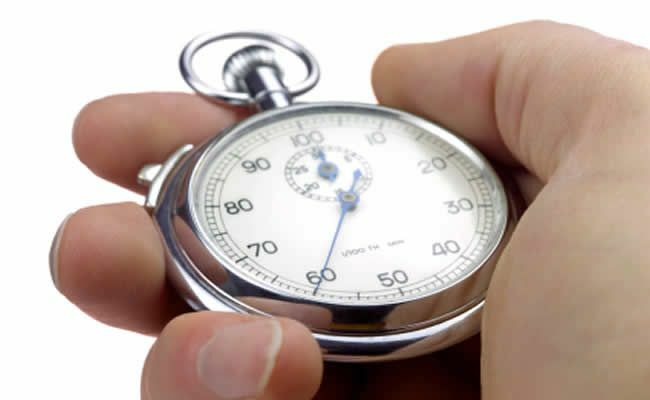 Many of the brokers we have spoken to are reluctant to refer to a 60 Second strategy in its own right. They typically consider 60 Second trades to be specific tools that binary traders have at their disposal to unlock certain positions that would not be possible at longer time frames. Essentially 60 Second trades can be used in tandem with other trading strategies depending on the specifics of the market being monitored. What they have all have in common is the ability to repeatedly capitalise on an asset’s change of direction and to make an in the money trade in the short time between fluctuations. This is particularly useful in the case of momentary reversals. What truly differentiates 60 Second trading from trading at any of the longer timescales is that positions can be taken at times of extremely high uncertainty. 60 second trades really come into their own when an asset’s price action can be too choppy to safely place a longer position. This is because binary traders can get in and out of a trade in the time it takes the market to react and begin to move the other way. When these types of trades are combined with a solid trading strategy and strictly observed risk management parameters the results can be extremely profitable. The above example is a textbook 60 second trade that would have eluded a trader monitoring at a longer timescale. The market has been ranging for some time, with traders uncertain about the positions they want to take. There are no high impact economic events taking place, so there is precious little happening to catalyse movement. In this instance the trader doesn’t rely on any technical indicators as the price action is taking place firmly within the bands. Nevertheless as soon as the market begins to take a position the trader begins to repeatedly place consecutive PUT trades. This is done until the strike price becomes unattractive or until one of the last trades placed appear to waver around the strike price (i.e. looking likely to lose). In this instance 8 of the 10 PUT trades finished in the money. 60 Second options are one of the big advantages of trading binary options but they should be placed with care and always as part of a wider strategy. The quick feedback they provide can be very addictive and can lead to traders overextending themselves without even realising. However when used in a focused manner they can be surgical in their precision and should be a part of every binary trader’s repertoire. Previous articleUsing Technical Indicators to Trade. Nancy, at first i thought you had something, with your very interesting and helpful article on using Bollinger Bands. I also thought your article on 60-second options is helpful. However, what you DO NOT say is that, when trading Binary Options (such as with IQOption), the broker WILL chase your order and close you OUT of the money, 70 percent of the time. I made more than 1000 (yes, ONE THOUSAND) trades with IQOption over a 60 day period, using only about 65 Euros. I watched the trade movements via MT4 and used your Bollinger Bands article to help make trades; and i also used my own methods (i have ten years of trading experience). I found it IMPOSSIBLE to retain profit (though many of my trades were in the money) on the short-term (60-second or up to six minutes options) Turbo option; and only SLIGHTLY better performance on the long-term trades. IN FACT, with IQOption, it became OBVIOUS the broker chases your trade and has programmed their platform to make certain you do not make a profit. They allow you to win maybe 30% of the time; but kill your trades the other 70%, making certain you will LOSE YOUR MONEY. Your advice for the 60-second options is, in my experienced opinion, a recipe for guaranteed losses to anyone attempting to trade binary options, which are just another dammned scam by cutthroat market makers and bucketshops. Dear Paul, I have no reason to doubt your experience nor the validity of all you say. However, please allow me to point out that perhaps what your story proves is that it is not a problem with the strategy but rather with the broker who chose to trade with. Strategies will only use if executed effectively, i.e. if the broker is honest and reliable and allows traders to execute their strategies the way they want without hurdles and obstacles. I would be interested to know if you have tried your hand with another broker as well and had the same results. You seem to know what you are doing so perhaps it would be a good idea with you changed broker and tried again. Best of luck and I hope profits will be on the way for you soon.